Thinking about a quilt- in some ways it all sounds a bit bizarre and I know others will laugh at me. But I guess I’m used to that, and maybe that’s part of me I need to express. I have put off sewing for a long time so actually this process may be a valuable one spiritually for me- addressing a ‘me’ part that has been neglected. 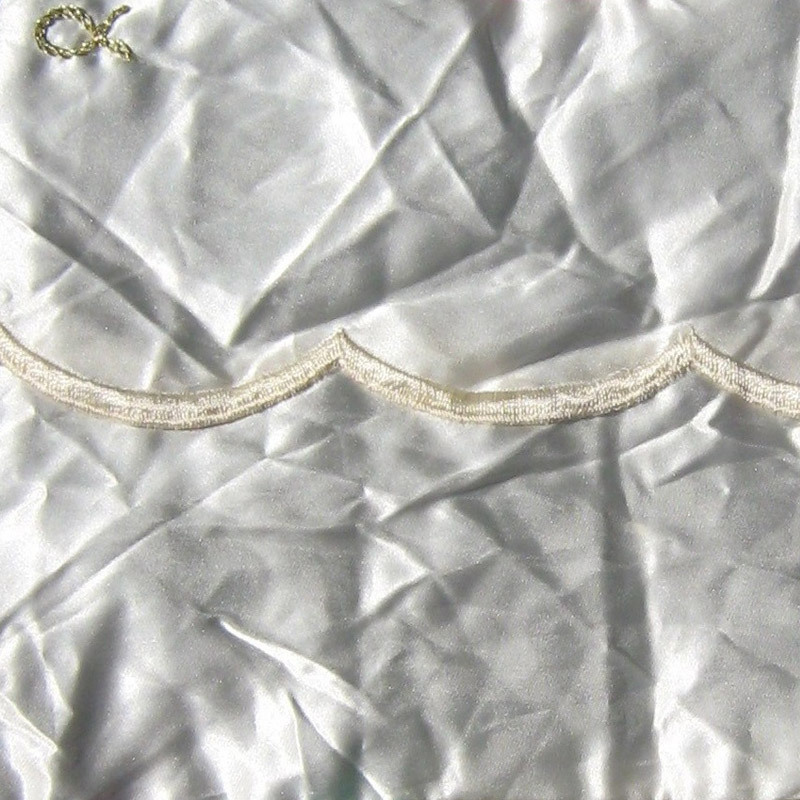 I find a piece of material, and the piece I want for the centre is from my wedding dress. All that is left now is the cuttings from the rim at the bottom. I have cut two pieces and have joined them, in the centre like a barrier across. The title will go on the piece at the end. Then it dawns on me the two halves are the beginning and the end- the alpha and the omega. The sign for Alpha will go on now.